Synopsis: Daily Planet loves birds Clark Kent and Lois Lane finally get engaged. Lex Luthor dies in a plane crash, and Metropolis is thriving with prosperity and happiness under the infinite protection of Superman. Follow the story of Lex Luthor’s true fate, and the fate of the new woman in his life…Supergirl. Listen to the heart-pounding fight to the death between Superman and a monster called Doomsday. Discover the truth about four new mysterious Superman. …until one day, when he’s gone. As with Star Wars, this is another of my “gold standard” shows against which other audio dramas are weighed. I mentioned it before in the standards post. Helmed by the incomparable Dirk Maggs, Superman Lives! (known across The Pond as Superman: Doomsday and Beyond) features a stellar cast who give stunning life to some of the classic characters in the DC pantheon. This is what Kingdom Come should’ve aspired to be. From the opening funeral procession to the stirring fight to save Coast City at the end, we are treating to a veritible feast for the ears. 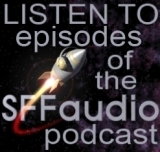 Within just a few seconds of beginning, you know instantly that you’re in the hands of a master audio drama craftsman. When I first heard this back in the mid-90s, I was hooked right from the start. I guarantee you will be, too. The cast is simply fabulous and the acting is top-notch. 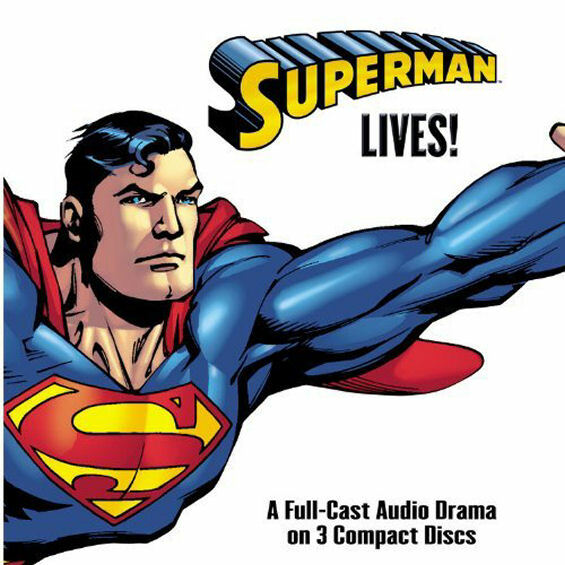 As Clark Kent and Superman, Stuart Milligan initially evokes Christopher Reeve’s portrayal of the character (slightly bumbling Everyman Kent vs. commanding and authoritative Supes) through vocal quality then immediately makes it his own. Lorelei King gives Lois Lane a kind of quiet strength–part Margot Kidder from the original film, part Katherine Hepburn from The African Queen. William Hootkins as Lex Luthor is simply delicious in the role. I got an Alan Rickman-Robin Hood, Prince of Thieves vibe from his performance. Superman’s titanic fight with Doomsday is the highlight of this production. In my view, at least. Music, sound design, and acting all come together in a breathtaking sequence that still, even after multiple listenings, make me wince, cringe, shudder, and leave me with a lump in my throat. I have to applaud Stuart and Lorelei for their performances in this section. If you don’t own this yet, I highly suggest you get it now from Amazon or Audible. Review of Superman: UP, UP, and Away! This sounds great, i’ll have to cheak it out. I really love Lorelei King, he did some voices on Judge Dredd from Big Finish and an Ursula K Leguin book, i think it was Oryx and Crake, that I absolutly loved. Im sure i dont need to tell you Jesse that theres the original radio plays from ’39 – ’40s on internet archive.